From my workshop in Herefordshire I produce a wide range of general joinery from quality timber windows, doors and stairs to kitchens, bookcases, shelves and much more. I can copy existing woodwork or design a bespoke product to suit your taste. With a detailed knowledge of period architectural joinery I can design and make windows, doors and stairs etc in keeping with your home. Other projects have included timber gates, garden sheds, Oak flooring and skirting, garden benches and tiling. 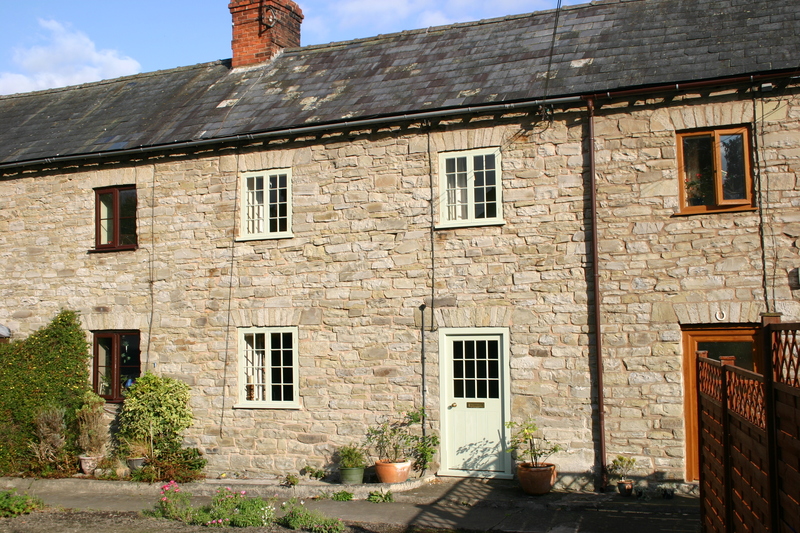 A glazed and boarded door and windows with fine glazing bars were designed in keeping with this mid terraced workers cottage in Kington, Herefordshire. Polished oak window sills and complimentary ironmongery gave the interior a high standard of finish. 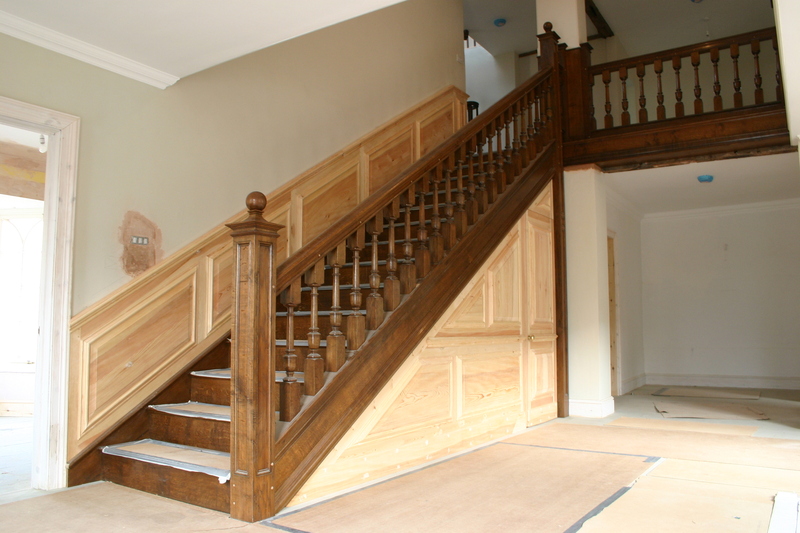 An 18th century style staircase with broad oak treads gave this staircase a stately feel in this large hallway. Turned balustrade with painted softwood panelling and under-stairs cupboard. 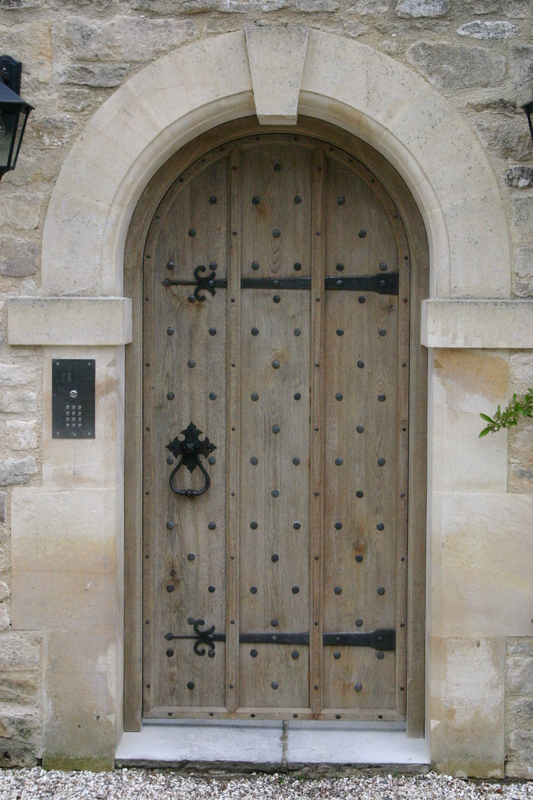 A heavy and imposing arched oak double-skinned door, nailed with substantial wrought iron cleated nails, and large strap hinges. With a lime finish it will silver in time with weathering. For more examples of my work please have a look at the portfolio.